Comment: Generally good copy with clean pages but may contain some signs of wear. These may include creased cover, inscriptions or small amounts of writing, fanned edge, ripped or tatty dustjacket, and other signs of being read. Ships direct from Amazon! 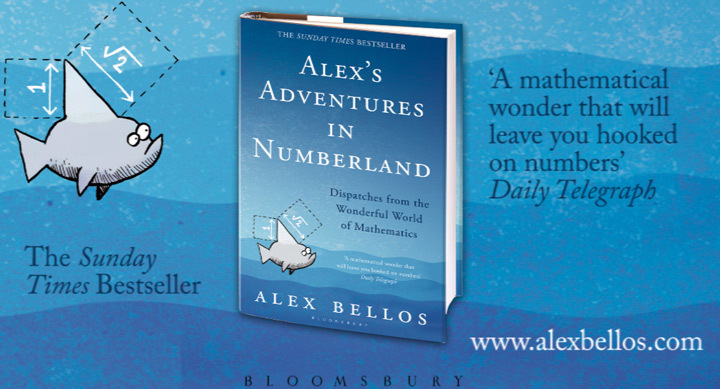 Start reading Alex's Adventures in Numberland on your Kindle in under a minute. In a charming, conversational prose style, and with diagrams to ease brain stress, he draws us into a forbidding world, often going into the history of famous bits of maths, including the origins of Tetris and Rubik's Cube. Starting with chapter zero, all twelve chapters are a fascinating exploration of the wonders of maths. If you like numbers and are a number anorak you will like this book, but probably already know a lot of it. For me, a mere interested mortal, there was more about numbers than I really wanted to know. I know, it's a book about numbers, but oh boy, its a book about numbers. It is densely packed with, you guessed it, numbers. On a serious note, there are some really interest facts, for me at least, like why the 50p coin is shaped the way it is, there is a lot of information about the way numbers influence leaf and shell growth. But, it went on and on and on about numbers to the point when I reached the end I was glad I know nothing about numbers. It is interesting and informative but it does get awful dry at times. It's like eating pudding again and again and again. Good but too good. This book offered some very interesting and new ideas and also introduced some more complex areas of maths (or at least complex by my standards). I enjoyed vast portions of this book and definitely learned a lot of new things. He goes to a lot of effort to include even those who are complete novices at maths which I respect. I think this book would be suitable to anyone who is GCSE level or above. The only chapter that made my head hurt a little was the final one where he talks about infinity but after a bit I understood. However I think there was a lot of filler which proved very boring. For example he goes on for what seemed like a very long time about discovering digits of pi. Perhaps I just didn't find certain areas interesting which is totally subjective. For example I didn't find Vedic maths very interesting but I found hyperbolic planes fascinating. I'm still giving it 4 stars because as I said this is all subjective. I found Simon Singh's 'Fermat's Last Theorem' a bit of a page turner which either makes me a right saddo or an intellectual genius. When I saw this book on one of my frequent browses I thought that sounds right up my street so bought it (it had good reviews). 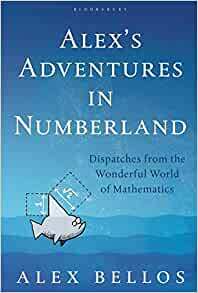 Absolutely loved it, it is a romp through the history of maths in bite sized chunks which investigate certain aspects, e.g. sequences etc. That man Euler was a genius wasn't he? Alex Bellos has a very good way of writing, easy to read and sprinkled, sparingly, with a bit of humour too - thoroughly enjoyable. I'll even forgive him for saying 'math' once (well twice if you include a quote but that was from an American and we all know they can't speak English) and a typo in the logarithms section (can you spot it?). Well done on an excellent book. I'm not a reader of non-fiction for two reasons: (1) it usually purports to tell the truth when it is merely reporting a version of the truth like, well, fiction; and (2) it is usually less well written than fiction, where style tends to count more. But I'm happy to say that this rare foray into the realm of written reality scored on both fronts: (1) it reported pretty much indisputably factual information with only the odd conjecturable opinion; and (2) it was very well written. There is much to admire about this book, but the two things that stand out are: (1) it appears to the maths laity (that's me) to be meticulously and comprehensively researched; and (2) the writer, Alex Bellos, is a journalist who graduated university with a double major of maths and philosophy and is therefore a keen amateur and not a professional mathematician. 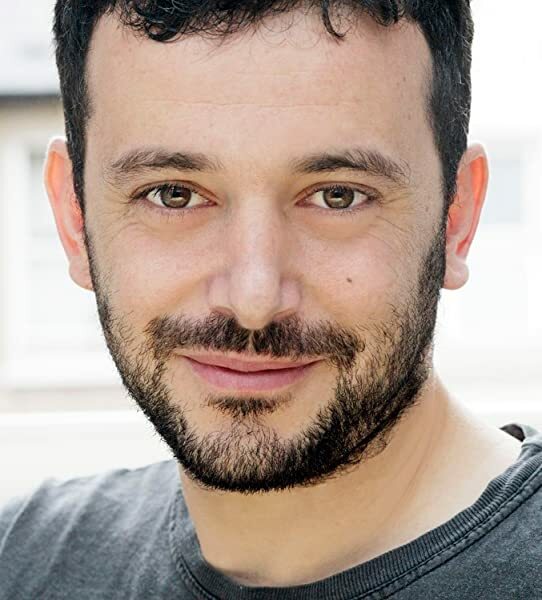 The latter is no doubt core to the book's strengths, because Bellos brings a hobbyists's enthusiasm along with a sympathy for the semi-literacy most of us bring to the maths. I also liked that Bellos does not revert to hyperbolic fan's zeal to inspire the same passion in the reader. Rather, he provides a series of interesting facts and folksy supporting anecdotes to show the development of: (1) different fields--geometry, probability, statistics; (2) concepts--pi, phi, infinity, zero; and (3) tools--logarithms, slide rules, the quincunx; in a way that is mostly understandable and usually entertaining. Along the way, he relates amusing stories involving eccentric people and their often mundane means--origami, sponges, crochet--of giving physical shape to the downright unfathomable. Me: Know what India invented? Peeyush: Big hair? Finger cymbals? Corruption? Me: Nothing. India invented nothing. And why are you so biased against India? As the book progresses, so does the abstract nature of the subject matter, and the concept of pi provides the perfect bridge between numeracy and philosophy, which had already emerged with the chapter on zero. Chapter Five reinforces the connection, noting, "Algebra lets us see beyond the legerdemain providing a way to go from the concrete to the abstract--from tracking the behaviour of a specific number to tracking the behaviour of any number." But as illustrative of my point as this passage may be, I only included it because it contains the word "legerdemain." At this point, the book also irritated my psoriasis, as it reminded me of two of my education failures: (1) the slide rule; and (2) logarithms. The slide rule exposed my lack of dexterity, which I blame for a lifelong preference for the directionally correct over pinpoint accuracy. Logarithms exposed the limitations of a brain that can memorise useless facts but could not hope to make the abstract concrete in a month of infinite Sundays. Me: Look, It's irrational. It can't be a number. It can be a parental demand or a political promise, but numbers behave, darnit! Mrs Kohl: Wells, stop making this as difficult as yourself. The test is only ten questions. So quit messing around and whip it out. From here, the book backtracks into another chapter on games, or more accurately gaming, and the evolution of probability theory, which, as any derivatives trader with an ounce of conscience can attest, is the root of the current economic downturn if you don't count Obamacare and high tax rates on corporations and the rich (ok, that was sarcasm). The chapter uses maths to confirm that there are a few clever clogs who can improve gambling odds but the rest of us are easy prey to owners of casinos whose only redeeming quality is that they are as stupid as the rest of us in understanding how probability theory works and must therefore put their faith in the quants they employ, much like the purchasers of derivatives products. Which flows nicely into another bit of mathematical fiction, statistics and the bell curve. This is yet another concept with which I struggled, this time as a university student in 1974, because the idea of anything normal in a world characterised by Vietnam, Watergate and the Bay City Rollers could only be, in the words of Spiro T. Agnew, "a damnable, palpable lie." It also reminded me of the debates I would have as a portfolio analyst with my quant boss about over-reliance on statistical models to predict the fortunes of industry segments. I was instead a believer in the theory that an industry segment collapses under the weight of too much money chasing it, and all you need for that analysis is a critical mass of Wall Street Journal headlines. And that brings us to the final chapter, appropriately about infinity, a concept discussed throughout the book--especially in the bits on counting and number sequencing--but thoroughly analysed from a mathematical and philosophical standpoint here. And, face it, infinity is nothing if not a philosophical concept, especially when you consider that it can be mathematically proven that there are different values of infinity. Perhaps even an infinite amount of values of infinity. Yeah, think about it. This book isn't about maths or numbers, it's more about the history of maths and numbers, which is different. Alex goes into the reasons why certain things are the way they are - why are there 60 minutes in an hour, 12 hours in a day - and of course into lots of great trivia - did you know that the Chinese have a system of counting up to a billion on your fingers? The first few chapters are particularly insightful as he talks about the human perception of logarithmic scale and how it factors into the way we refer to large quantities. The chapter on numerology which I didn't like or rather, I didn't understand why it was there or what purpose is served. It was more quasi-mystical and borderline hippie rather than contributing any way to the overall theme of the book. But still, each chapter is sufficiently modular so that the adventures don't overlap with each other.